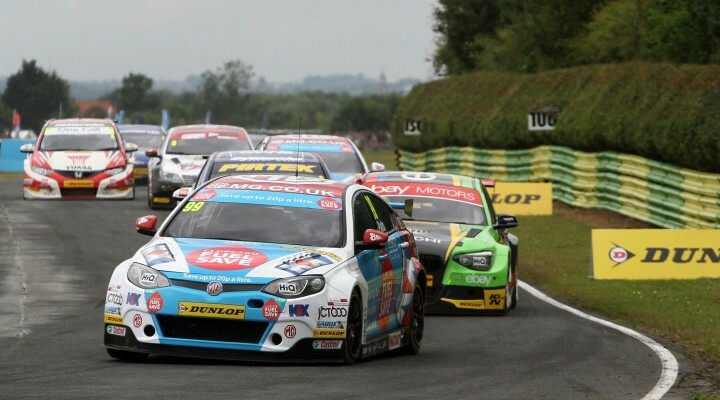 MG KX Clubcard Fuel Save driver Jason Plato is adamant that his 2014 Dunlop MSA British Touring Car Championship challenge is far from over as he goes into the second half of the season looking to overhaul a 49-point deficit to the standings summit. The manufacturer-backed MG squad was the fastest package around Snetterton last year, as Plato’s team-mate Sam Tordoff just edged out his experienced stable-mate to take his first pole position and victory in race one. Plato then suffered a mechanical retirement whilst leading in the second contest and whilst fighting from the back of the grid in race three hit the barrier sending him into a dramatic barrel roll. Plato will rejoin the BTCC field following the season’s summer break, and is looking forward to getting back behind the wheel. He concluded, “Typically I come back from the summer break energised and full of beans with my tail up. It’s pretty simple; we have to be absolutely bang-on from here on in. We must be challenging for pole-position, taking wins and scoring maximum points. If we do that, then we’re in with a shout.